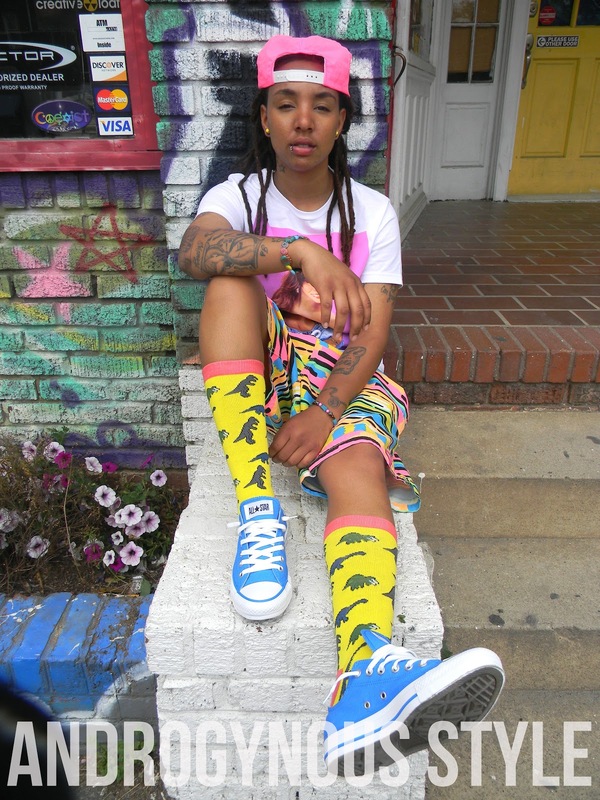 We've showed you Melo Williams all week with her 'loud swagg' and fun style! I hope you all have been enjoying this month's Style Spotlight feature. 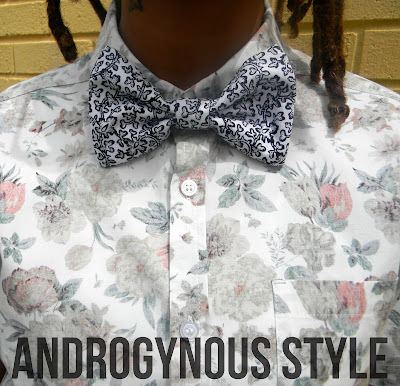 We got the chance to hear what Melo had to say about androgynous style. Check it out below! I am 25 years old. I was born in Washington, D.C. I moved to other cities and countries before residing in Charlotte, North Carolina. Recently, I gained a passion for designing bracelets for men and androgynous women. I have been involved in fashion shows and styling for different individuals. I have been working towards becoming a wardrobe stylist, targeting men and androgynous women. I'm working on getting my logo copy written, creating a website for my accessories and expanding my brand. I want to continue styling models for fashion shows and providing the accessories. I would love to become an androgynous model and get involved with printed ads. Eventually I want to be a known wardrobe stylist for celebrities. 3. We see that you have a very unique style, you like to have fun with your wardrobe. How would you describe your style? My style is very fun and exciting. It's shows my personality and love for being different. I tend to think outside of the box and I love to do it all. I can be preppy, edgy or clean. Just depends on my mood or the event. 4. Where do you draw your style inspiration from (style icons, celebrities, TV, magazines)? I have an interest in several celebrity looks- ASAP Rocky, Chris Brown, Usher, Robin Thicke, Tyga, Wiz Khalifa and Juelz Santana. All of which have a different look. I also like Vibe and GQ magazines. 5. Do you have any favorite designers or stores you like to shop at? I absolutely love Urban Outfitters. I'm also a fan of American Apparel, Express, Ralph Lauren, H&M, Pacsun, and Forever 21 Men. Most of all I must admit I love going thrifting. I'm always willing to bet that you will find something old and unique! When you're creating your look, think different, put it together as if no one else exists. Never worry about what the next individual thinks or says. As long as you're comfortable and you love the way you look, that's what makes you androgynous! I would like to see more diversity. More creativity and love put into an attire. Not so much of what everyone else is wearing but what you bring to the table. 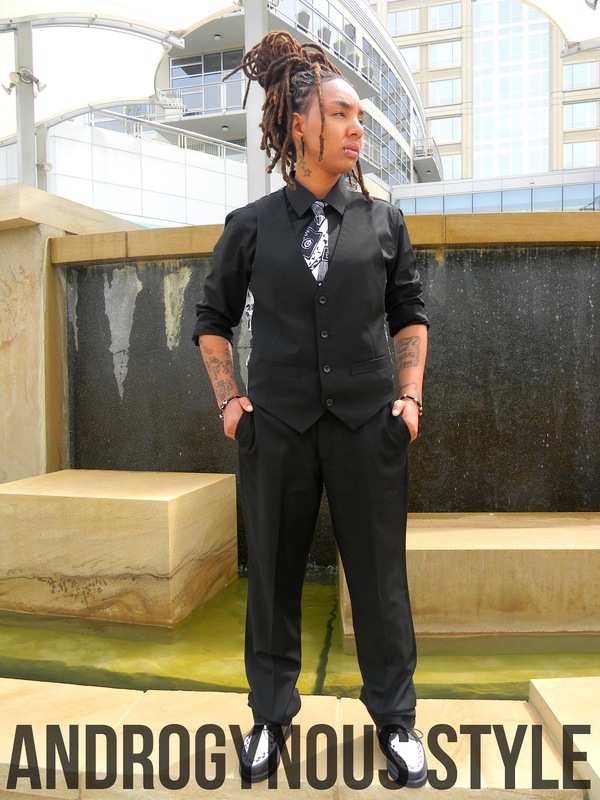 Well, androgynous ladies and gents... That concludes our April Style Spotlight, featuring Melo Williams! Love her style? Follow her on Twitter and Instagram @Loudswagg87 ! !